August brings a rainbow of foods to harvest from the veggie patch. Cucumbers are coming in abundance. I grow salad varieties perfect for eating fresh. Many will still find their way into home made pickles as they produce faster than I can keep up! This year, I have planted two varieties of summer squash: Early straight-neck yellow and one called “Gold Rush” which I have not tried before. They are both delicious grilled, chopped and added to pasta sauces or baked into ratatouille – a favorite late summer casserole. The eggplants go into ratatouille also. Alternatively, they can be basted with olive oil and broiled, or baked into eggplant parmesan and moussaka. Skyridge Wildlife Garden is a registered garden with the USDA’s People’s Garden Initiative. The People’s Garden supports garden projects that benefit their communities either by creating recreational space, providing food harvests for donation to local charities or supporting wildlife species with native plants and sustainable practices. Learn more about this program by clicking on the photo to follow the link. April is here and so it is time to run around the yard and see what’s growing and waking up after the long Michigan winter! 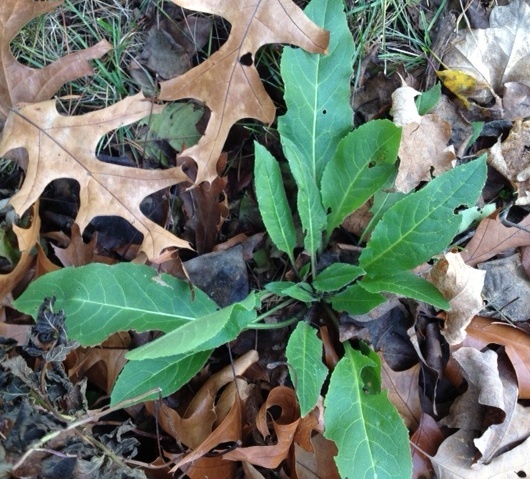 Of course, some of the plants poised to get a jump on the season are WEEDS! 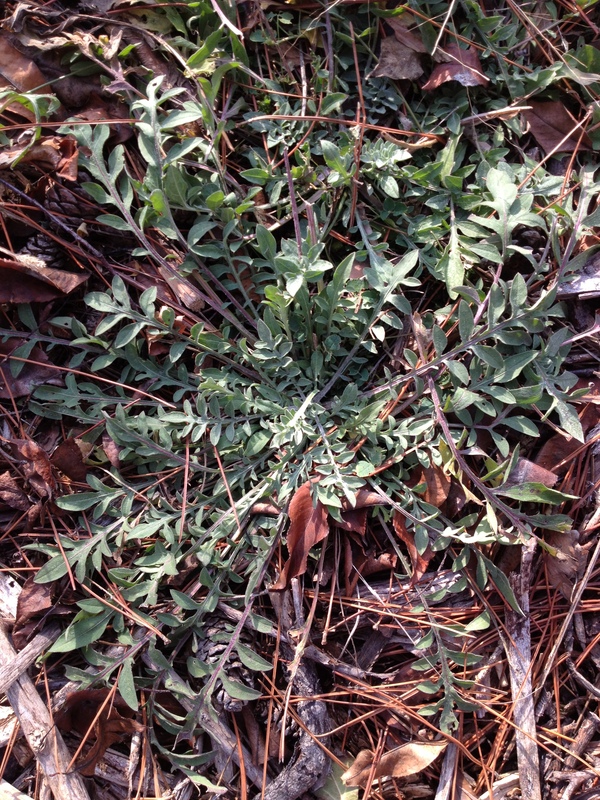 Many gardeners I know struggle each season with invasive weeds that spread like crazy. Some invasives are biennials, meaning that they overwinter in an immature state and take up to two years to complete their life cycle. Invasive weeds usually succeed by making hundreds if not thousands of seeds per plant. If even a few of these seeds sprout and grow, you are guaranteed another crop of weeds the next season! Garlic Mustard, Dame’s Rocket, and Spotted Knap-weed are all problems in my own yard. Most of us know what these look like when they are blooming, but the best time to deal with them is before that happens! 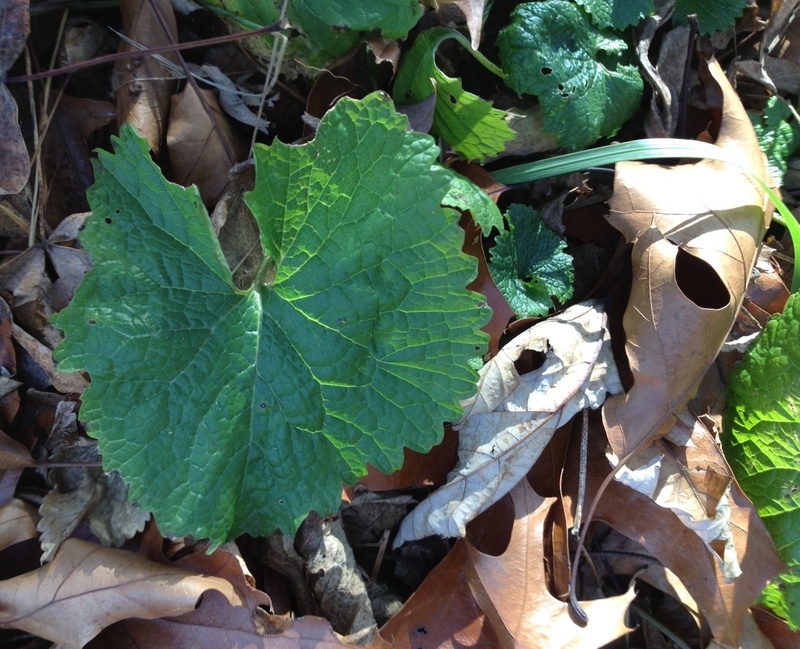 Some plants like a garlic mustard that’s already blooming, can continue to make viable seeds even after they are pulled out of the ground! Here are a few photos of the usual suspects in their pre-bloom stage. Take a close look at the photos and tour your garden and the edges of your yard to see if you find them. Note the frilly leaf edges and prominent vein structure. Blooms in Spring with many white 4-petaled flowers on a stalk. This weed is sometimes confused with violets before it bolts to bloom. Blooms pink, white or lavender. Looks a little like phlox, but it has only 4 petals and flowers in Spring. If you find these weeds, pull them up making sure to get the whole plant with the roots attached. Then cover the bare spot with mulch or leaf litter to shade the ground and keep dormant weed seeds from sprouting. 1. Place the pulled weeds in a black plastic bag. Close it tight and set it in the sun for couple of weeks to “cook” the weeds before dumping the now slimy, stinky weed guck into the compost heap. If it’s not slimy and stinky, it probably hasn’t cooked enough. Add water and let it sit in the sun some more. If it is slimy and stinky, it has anaerobic bacteria in it. Add it to an active compost heap rather than a finished one. 2. Somewhat more pleasant – mix the “green” fresh weed matter with “brown” compost materials like dried leaves or wood chips. If you have enough material for a 5 x 5 x 3 foot pile you can do “hot” composting! Layer the materials alternately and spray them down with the hose. Add a little bit of garden soil or finished compost after each layer to introduce microbes. Cover the whole thing with a tarp and check back in a day or two to see if the pile is warm. Hot composting uses microbial activity to digest the “green” nitrogen rich material with the “brown” carbon rich material. If your pile has the right balance between moisture, oxygen, carbon, and nitrogen, the pile will develop enough heat to kill weed seeds and pathogens. Then you are well on your way to turning noxious weeds into valuable compost! Here’s hoping you win your weed battles this spring! Vermicomposting is a effective way to recycle paper waste and kitchen scraps into nutrient-rich organic fertilizer for your garden and houseplants. Vermicompost is a stable, slow release fertilizer and soil amendment. 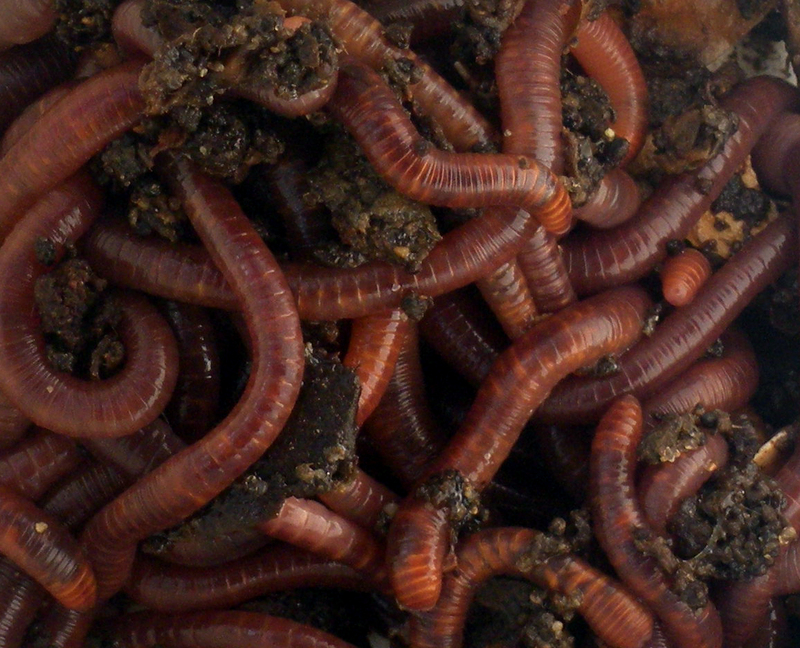 Worm castings add beneficial microorganisms which promote soil health. They also add organic material to improve soil texture for increased moisture holding capacity and improved drainage. Vermicompost does not “burn” tender plants like chemical fertilizers can. My redworm adventures started with a desire to compost kitchen scraps easily during Michigan winters! After reading an article on vermicomposting in Martha Stewart magazine my interest became determination. I purchased the book, Worms Eat My Garbage, by Mary Appelhof which gives easy to follow instructions on building and maintaining a worm bin. I highly recommend her book! – and no, I’ve not been paid to say so. Below is a picture of the bin I’ve been maintaining for several years. This bin overwinters in the basement. I put it outside in the summer in a shady spot. Worms are happiest between temperatures that humans also find comfortable. Between 65-80 degrees fahrenheit is best. The worms slow down at lower temperatures. If the bin dries out or stays too warm for too long they will die, so it’s important to keep them shaded and moist in the heat of summer! 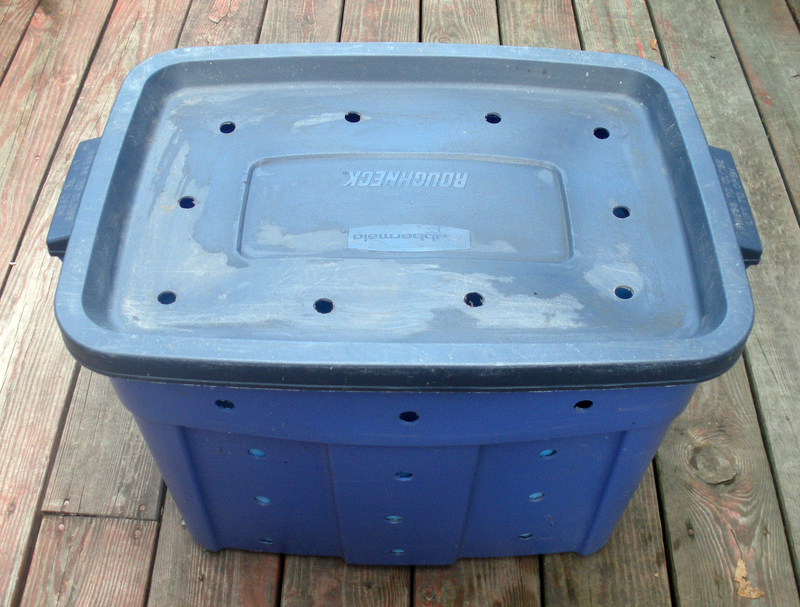 The bin above has a breathable liner I use to minimize moisture loss while I compost in the house. I don’t always use a liner when composting outdoors. A year or so ago, I found unexpected and intriguing new additions to the outdoor bin! These are soldier fly larvae. They are a native bug in Michigan. I did some research on soldier flies and it turns out – they are highly efficient composters as well! The soldier fly lays its eggs in a nitrogen rich environment, such as an accessible worm bin with plenty of decomposing kitchen scraps. 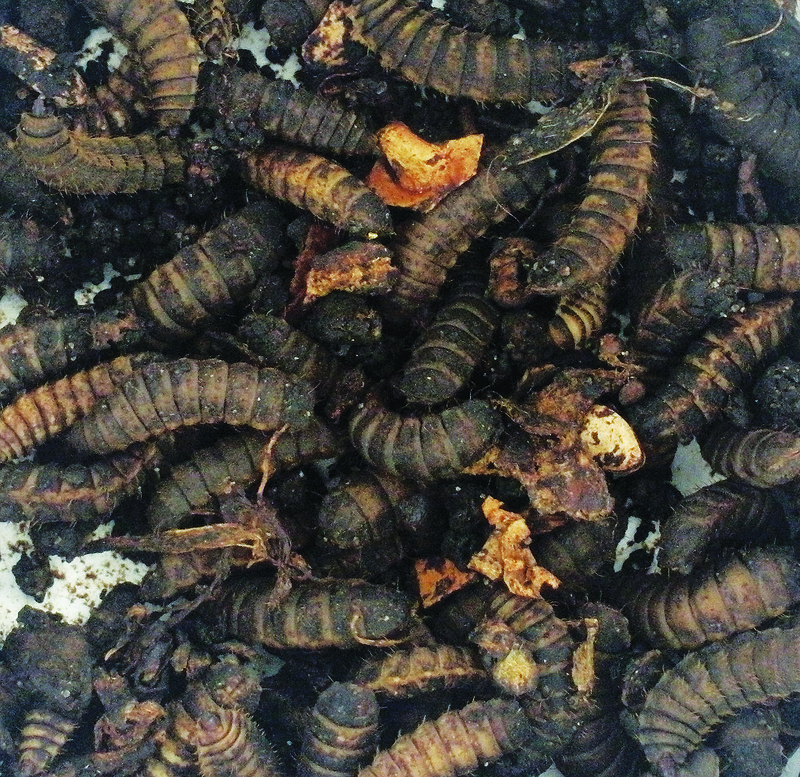 The larvae feast on the scraps and the poop they generate is further processed by the worms. Fish and birds enjoy the larvae as a snack. The adult soldier fly looks a lot like a wasp. 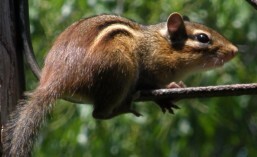 This can be alarming when you first notice them, but they are harmless to humans and do not bite. I’m happy to have them in my outdoor bin. Have you seen these larvae before? Leave a comment and share your thoughts. 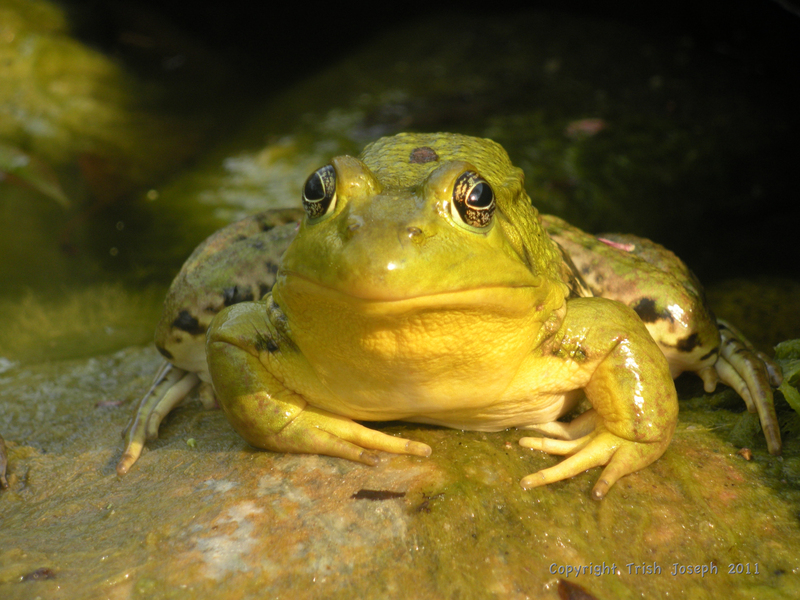 Adult male Green Frogs often have yellow chins. The Green Frogs love to eat slugs, earthworms, crickets and caterpillars. They can jump several feet above the ground to catch flying insects and have been known to take a leap at a dangling camera strap!